Hey, this is great news. A group of dedicated vegans have joined forces to launch a new weekly vegan market in Richmond, West London. The market launches on Saturday June 30, 2018 and will run between 10am and 4pm at the Richmond Adult Community College. You can see the exact location thanks to Google Maps. If you are a vegan business owner and would like to get involved, you can find all the information to apply as a trader online here. 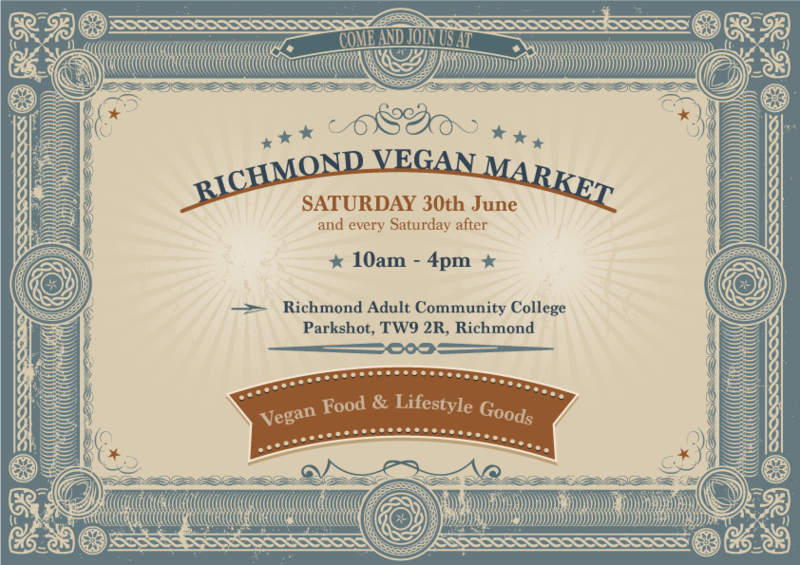 You can also follow Richmond Vegan Market on Facebook and Instagram.